If you have Questions about the IRS and Home Owners or Home Buyers this is the area to post your questions. I continue to get many questions about all sorts of IRS issues on my website and I’m happy to look them up and post the answers for all to see. The Official IRS Website is very difficult to make sense of some times and has errors on some of the pages. I look up your tax questions, share my thoughts and provid direct links into the IRS Website for your specific IRS TAX related questions. Remember, I am not the IRS. I am not a trained tax professional and do not give legal advice. It is your responsibility to know the Law. Any questions or comments you leave on this site will be visible for all visitors to see. This way IRSQuestions.org becomes a growing resource to help you find the proper links into the official IRS website. I have a roommate that I have been supporting, making house payments, all bills, the house is in her name, since I am claiming her as a dependent, do I get the benefit of the interest and taxes paid on the house? What kind of tax breaks am I intitled to? I HAVE A SECOND HOME THAT I INHERITED , I PLAN TO RENT IT OUT BUT IT NEEDS A LOT OF REPAIR FIRST ARE ANY OF THESE REPAIRS TAX DEDUCTABLE ? My fiancee and I own our house together. Both of our names are on everything. As far as filing for the mortgage taxes does one of us get that refund back or do we split it. ALso with the first time homebuyers tax credit do we split that or does one of us take the refund. We took the $7500 first-time homeowner credit when we filed our 2008 tax return. Now that the stimulas package has become law, does it change the fact that the $7500 has to be paid back or is it a true credit? I couldn’t find specifics for an answer for your case. I was able to find info about claiming student loan interest but nothing on home loan with regard to dependents. That said, I would think your roommate could claim the interest to help offset your payments on his or her behalf. I’m thinking about adding a section to my website where I’ll post questions I could not answer and leave it free for others to fill in my lack of knowledge.I will add this question to that section. You bought your new house just in time to be eligible for the new Housing and Economic Recovery Act of 2008! The deadline to purchase a home under that plan is on or after April 9th 2008 and before July 1st, 2009. This credit is a bit different though as it is in essence an interest free loan by the use of credits on your income tax. Here is a link to what is called the First-Time Homebuyer Credit Information Center inside the IRS.gov website. Disclaimer: I am not a trained tax professional; I’m just a helping person looking up your questions in the IRS website and doing my best to talk about what I find. I am not giving legal advice; it is your responsibility to know the Law. For SURE!! Since you now have an asset that will generate income and also will require maintenance and or improvements. You wall want to deduct all of it. I have owned rental property and the write-off of the repairs made the difference if we were in the black or in the red. There were two different ways to handle it. The way we choose was to factor the additional upkeep costs in against the depreciation of the asset. What way to handle the depreciation best should be talked over with a trained tax person, preferably an accountant that would help you handle your asset. He will need to know how long you plan on keeping the property as well as other aspects of you financial planning to make the best choice for you. It there any tax rebate or credit for individual who purchased a foreclosure home but it is not their first home? 1. I sold a home last year which qualifies as my primary residence for the purpose of excluding the gain, however I used it as a rental property for a little over a year prior to selling it. I think that I am supposed to pay taxes on the depreciation amount which I deducted over that period. What form is used to do this? 2. On other rental properties which I sold, does the depreciation just decrease my basis or is there another way which I have to account for my straight line depreciation? I understand that the new stimulus plan allows for an $8000 tax credit for first time home buyers in 2009. Does this replace the current $7500 tax credit that can be taken for purchases thru Jun 2009? My daughter purchased a home in Feb 2009. 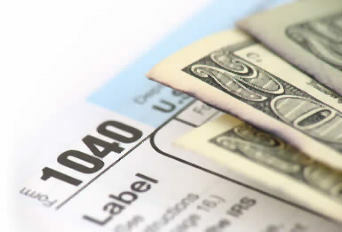 Can she take the $7500 credit on her 2008 taxes and then take the $8000 credit on her 2009 taxes? I got money from my savings plan in 2007 to buy a home (my first) at that time i payed 10% tax before I recieved my check. When I got my money it went to my down payment. Do I have to pay additional tax??? I am a retired widower of 3 years and remarried in January 2009. I moved to Pennsylvania from New Jersey where I had lived in my former house for over 30 years. My new wife and I bought a new house together in PA (where she had lived) which we moved into in November of 2008. I finally sold my old house in NJ in 2009 after having it on the market for over one year. My new wife had lived in a condominium for 3 years prior to our marriage. We attempted to sell the condo for several months in 2008 but were not successful so we decided to take it off the market and rent it for a couple of years until the real estate market stabilized. We are renting the condo to basically recover the basic operating costs. Our intent is to not make any profit from the property but rather just hold on to it with little or no out of pocket expense until the real estate market returns to normal and my wife can recover her initial investment in the property. We have had a tenant in the condo for all of 2009 producing sufficient rental income to recover most all our operating expenses. In preparing our Federal Income Taxes for 2009 it appears that the IRS requires us to claim Depreciation on the Rental Property even though we do not want to. The Depreciation calculation creates a sizable operating loss on paper. 1. When we do sell the property (in a year or so) we will have to add the amount of depreciation claimed to whatever real capital gain we hopefully will obtain. This depreciation amount will increase our tax liability in the future. Question: Is there anyway we can properly report this rental activity without claiming depreciation since our objective is not to make a profit? First of all, Congratulations on finding someone to share love with. I wish the both of you continued happiness. Now back to business, I understand your reasoning for wanting to claim as little depreciation as possible. Just in case you didn’t know there are more than one method of depreciation. The first method is called the “STRAIGHT LINE METHOD”. This method takes the same amount for each year of the useful life of the property. That would be after what is called the adjusted basis is calculated. The 2nd method is called the “INCOME FORECAST METHOD” where income is forecasted. I believe this is not used as much for real estate property. There is also something called a Special Depreciation Allowance but this only applies for the first year in service. Here is a link where you can get the lowdown on this. Generally from what I’ve read it does seem like you’ll have to do the “Straight Line Method”. I wish the both of you well.